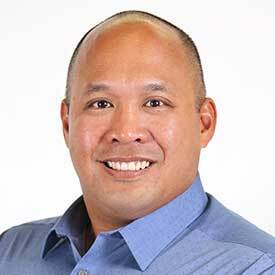 Jeff Gapusan is a FinTech entrepreneur that currently leads strategic partnership efforts at Atlanta-based PrimeRevenue, the leading provider of working capital financial technology solutions. Prior to this Jeff managed FinTech acceleration efforts at the Advanced Technology Development Center (ATDC), the State of Georgia's technology incubator where he managed a portfolio of early-stage FinTech startups and actively coached them in business and corporate development, fundraising and execution. After life on the Fixed Income trading floor, Jeff entered the FinTech world. As CRO and Head of Capital Markets at an Atlanta-based FinTech startup, Jeff managed strategic engagement with finance and technology partners across the world. Jeff began his finance career in Finance as part of Salomon Smith Barney's Sales & Trading Associate Training Program. Jeff served domestic and international banks on the Financial Institutions desk prior to joining the Mortgage-Backed Securities sales team. As a specialist in Structured Credit, he later focused on driving mandates for asset managers in the space enabling over $5BB in deal-flow in commercial real estate, leveraged loan, and asset-backed structures. He later joined Cantor Fitzgerald as a Managing Director focused on Alternative Investments and Structured Products . He was a leader in several first-time Cantor initiatives including Alternative Investments, where he drove critical engagement efforts some of the world's largest alternative investment players. In 2009, Jeff spearheaded the establishment of Cantor's London-based European Structured Products sales & trading desk. A Veteran Naval Officer, Jeff flew and managed electronic reconnaissance missions in the mighty EP-3E Aries II over combat zones in the Middle East, the Pacific Ocean and the Mediterranean Sea.